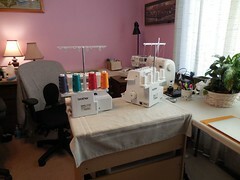 Faiths Sewing Corner | …all about sewing! 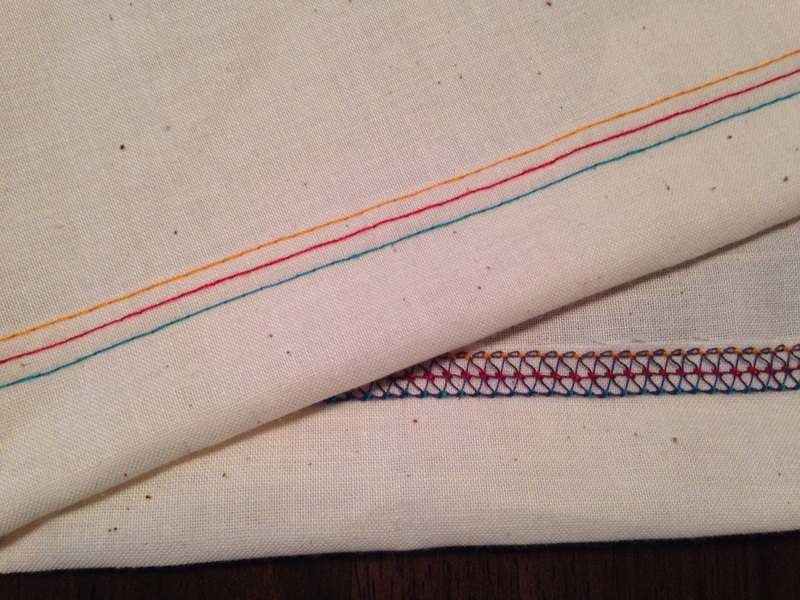 Yesterday was another first…first test of my Brother 2340CV Cover Stitch machine. Did a three needle cover stitch with multiple colors! 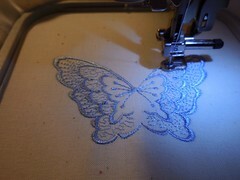 Blue Butterfly made using Brother SE400! 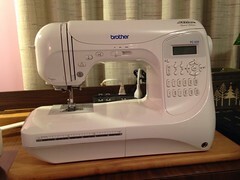 I finally tested my Brother SE400 sewing/embroidery machine. 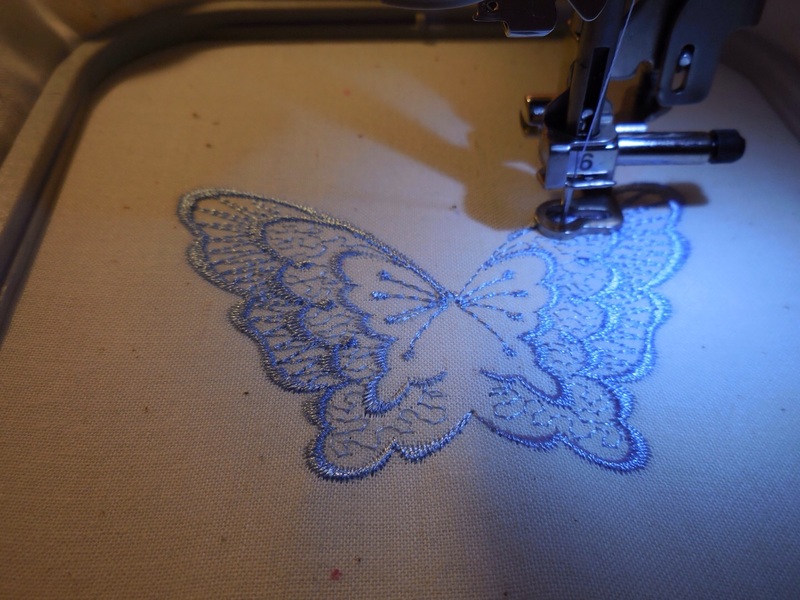 I chose a single color butterfly for my first try with the embroidery function of this machine! 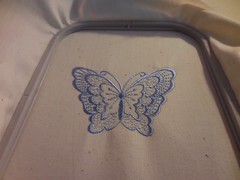 I decided to go with a single colored first machine embroidery project. Next I’ll try a define with multiple colors. 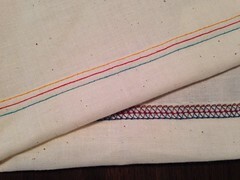 Wow…been to many years since I sewed. 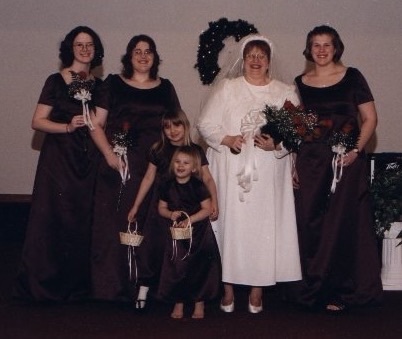 I sewed my wedding dress, three bridesmaid dresses and two flower girl dresses when Dennis and I got married in December 2000. My biggest sewing project…my dress, 3 bridesmaid dresses and 2 flower girl dresses. 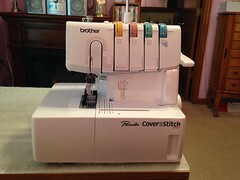 I haven’t really sewed much at all since then. I did a lot of alterations prior to our marriage. Truth…I don’t like doing alterations at all and will never do it anymore except for my own needs. It will be a few months yet before I’m totally ready. I would eventually like to sew and sell on Etsy.com.